Girl Scout Alexanna grew up swimming and sailing in Mill Creek, which is a part of the Chesapeake Bay in Anne Arundel County. Over the years, she watched the river become more polluted and area wildlife leave their habitats due to sewage spills. 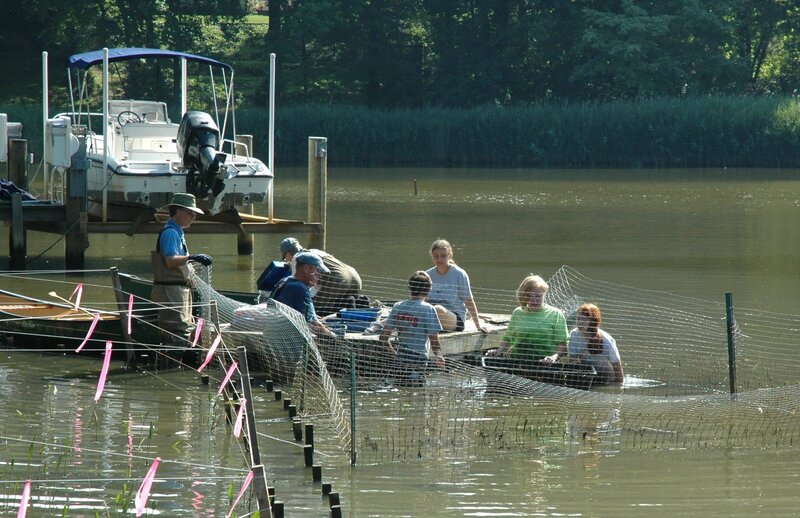 After meeting with the AACo Department of Watershed and Ecosystem Restoration and the AACo Mill Creek Committee and securing permission from the Department of Natural Resouces and sponsorship from the Magothy River Association, she undertook the project of planting submerged aquatic vegetation (underwater bay grasses) in Mill Creek. “Every little bit of submerged aquatic vegetation that is planted in the bay helps to improve the overall quality of the entire ecosystem…The [plants] that were grown and planted as part of the project will continue to provide critical shallow tidal water habitat, improve water clarity by trapping sedimentation and will oxygenate the headwaters for years to come,” she said. 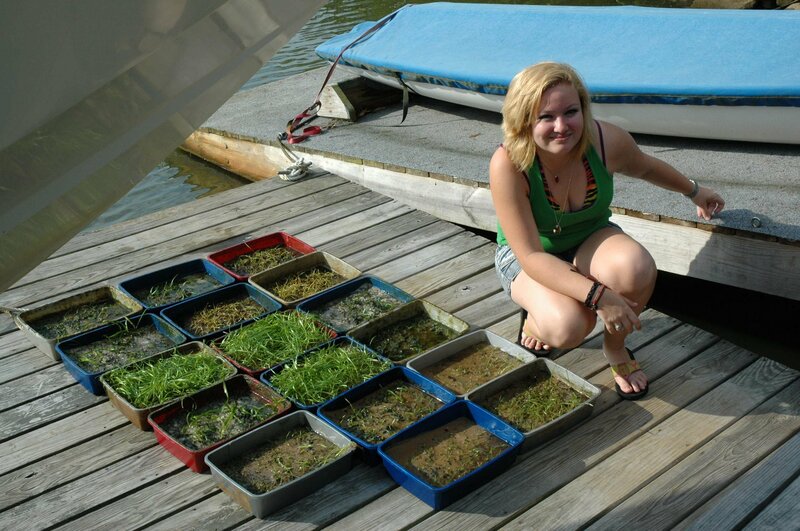 Alexanna gathered a group of 25 volunteers to start pre-growing the grasses and guided them throughout the process. When the grasses were ready, she worked with planting volunteers, and various government agencies to coordinate the planting of the grasses, which was no easy task. “One of our biggest challenges was getting to the site to plant the grasses. We would sink about waist deep into the mud, so the only way we could there was by boat,” she said.